Touring Israel is proud to present its exclusive, limited edition, boutique lifestyle tours. Experience the very best that Israel has to offer in recreation, spirituality and culture. Designed for the more discerning traveler, and connoisseurs of the finer things in life, allow us to help you discover the Holy Land’s best-kept secrets. Tel Aviv, one of the fastest growing and hippest metropolises in the world, has been expanding its fashion scene and is a pulsating celebration of styles and statements. Young designers, fresh out of Tel Aviv’s world renowned fashion academies, ?set up boutiques and ateliers on small side streets, carving out new design turfs and establishing distinct “boutique rows”. This dynamic scene evolves and reshapes itself in a way tourist guide books cannot keep up with – it takes someone in the know to navigate the way and introduce you to this creative and so-very-current side of town. You will be accompanied by our very own local fashion maven who will expertly tailor a personal boutique tour according to your own fashion tastes. We will meticulously select the most interesting neighborhoods for you to explore and infuse your tour with stories and anecdotes about life and fashion in Tel Aviv. You will be able to meet with designers, have access to new collections and receive special discounts. We offer half or full day tours showcasing fashion apparel to jewelry, shoes, handbags, and more. Discover Israel’s romantic and sensuous side! For thousands of years the wealthy and privileged have bathed in the hot springs of the Jordan Rift Valley. Cleopatra herself was known to use the mineral rich mud of the Dead Sea. 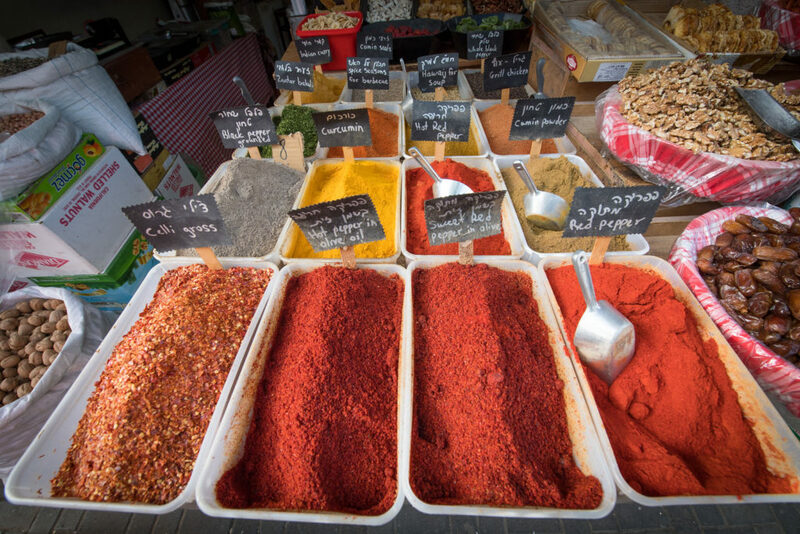 The Queen of Sheba brought spices to King Solomon from all over the Ancient World. Now you too can experience and enjoy Israel in the manner of Kings and Queens of ancient times. If you are looking for a vacation that combines rest, relaxation and self-indulgence with culture and history, you can’t beat Touring Israel’s Secret Hideaways package. Spend your nights in romantic log cabins, bed and breakfasts and quiet boutique hotels, the best that Israel has to offer. Reward yourself in the ancient baths and steam rooms and indulge yourself with century old hot stone treatments, holistic healing and Eastern Medicine techniques. Desert Time ….. In a place where the silence is complete and the vistas never-ending, journey to your true essence in an unspoiled land where the Hebrew prophets have sought the voice of the Almighty. Sense the force of the desert as it awakens your inner self, and the power of creation that demands to be revived. Witness the remarkable clarity of the desert light, the vibrant colors of the sands and rocks, the brilliant night sky, the landforms sculpted by the wind and water. Take “time out” from regular life – to reflect, to revitalize, to touch the spirit and to soar to the heights within, and to return home with renewed understanding and a fresh approach. Come for rest, relaxation, retreat, renewal & refreshment The journey includes visits to sites holy to Jews, Christians and Moslems. The Judean Desert invites you to share in a unique experience in a unique place. Here some of history’s greatest leaders rose and fell. It was in this same desert that David composed his Psalms of Praise to the Lord, and it was here too, that the authors of the Dead Sea Scrolls sought seclusion. Meditate in the caves of the Galilee where the original kabalistic sages were enlightened by the divine inspiration and wrote it down into the Zohar. On the way we engage in spiritual exercises, meditations and Yoga studies. Unique excursions and experiences add fragrance to your life journey. Art – With over 200 museums, Israel has the highest number of museums per capita in the world, many of them are dedicated to the fine arts displaying works from ancient through to modern times. Visit with us the studios of the modern Israeli artists that are setting the scene on fire. Visit Tzipori, a well preserved Roman era settlement featuring the breathtakingly beautiful mosaic dubbed the Mona Lisa of the Galilee. Architecture – From the biblical architecture of Bezalel to the Jerusalem of Herod the Great, to the International “Bauhaus” Style treasures and skyscrapers of Tel Aviv. Israel is like an open air museum of architecture through the ages. Full of contrasts, its East meets West, Ancient meets Modern. 5000 years of history, 5000 years of culture. From the Levites singing and performing in the temple and the classical tragedies, comedies and dramas in the Roman theatres, through to the world renowned Israel Philharmonic Orchestra and the Bat Sheva Dance Troupe. Israel has an extremely rich tradition in the performing arts. Today the calendar is littered with impressive cultural events including the Israel Festival in Jerusalem, the Acco Festival, Haifa Film Festival and the Red Sea Jazz Festival. There are also numerous outdoor concerts in stunning historical locations such as the Sultan’s Pool in Jerusalem, the Roman Theatre at Caesaria and at the foot of the awe inspiring Masada by the dead sea. Whether you’re into classical music, opera & ballet or heavy metal, blues and hip hop, Touring Israel will help plan a cultural experience that fits your tastes. You can custom design your own lifestyle tour If you are interested in more than one of our lifestyle itineraries, you can create your own a la carte package that can feature your favorite elements of each of the tours. Spend a couple of days sampling Israel’s culinary delights and visiting its world renowned wineries. You can then work it off on a three day dive safari. Cap it off with a visit to some galleries and museums with a night at the opera or at a blues bar. Its your vacation, so feel free to custom design a tour that best suits your personal tastes.